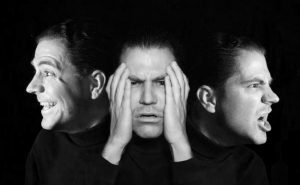 What are the Causes of Schizophrenia? Before one could go for a treatment of a disease, it is required that he should learn about the same. Considering the disease schizophrenia then understanding the disease is much required in order to go for a timely treatment of the same. The first and the most important point in consideration with the diseases is that, it can be difficult to diagnose schizophrenia in teens. This is because the first signs can include a change of friends, a drop in grades, sleep problems, and irritability common and nonspecific adolescent behaviour. Other factors include isolating oneself and withdrawing from others, an increase in unusual thoughts and suspicions, and a family history of psychosis. With any condition, it’s essential to get a comprehensive medical evaluation in order to obtain the best diagnosis. For a diagnosis of schizophrenia, some of the following symptoms are present in the context of reduced functioning for least 6 months. As per the research, there are many suggested causes of the disease and we are mentioning them here. Genetics: This disease can also be caused due to genetic disorder. While schizophrenia occurs in 1% of the general population, having a history of family psychosis greatly increases the risk. Schizophrenia occurs at roughly 10% of people who have a first-degree relative with the disorder, such as a parent or sibling. The highest risk occurs when an identical twin is diagnosed with schizophrenia. Brain Chemistry: Problems with certain brain chemicals, including neurotransmitters called dopamine and glutamate, may contribute to schizophrenia. Neurotransmitters allow brain cells to communicate with each other. Networks of neurons are likely involved as well. Substance Use: Using drugs or marijuana can also be a cause of Schizophrenia. A growing body of evidence indicates that smoking marijuana increases the risk of psychotic incidents and the risk of ongoing psychotic experiences. The younger and more frequent the use, the greater the risk. Another study has found that smoking marijuana led to earlier onset of schizophrenia and often preceded the manifestation of the illness. Contact an experienced doctor for the treatment of Schizophrenia. Dr. Shashi Bhushan is an experienced doctor for Schizophrenia treatment in Delhi. Timely treatment is what is required to fight with the disease better. Author Deepika SharmaPosted on February 28, 2018 Categories Psychiatrist in DelhiTags best psychiatrist in delhi, Schizophrenia treatment in DelhiLeave a comment on What are the Causes of Schizophrenia? The situation of anxiety seems just like a common behavior until and unless one spots the difference. Anxiety is a disorder and sometimes it can be much dangerous and life taking too. It is required that one should treat it in the proper time to avoid any future complications. Both anxiety and depression should be treated together. Here we are mentioning about the treatment of anxiety and treatment that would help you to cope up with the disease in much better sense. Cognitive Behavioral Therapy: Cognitive-behavioral therapy (CBT) is used to treat anxiety disorder with depression. 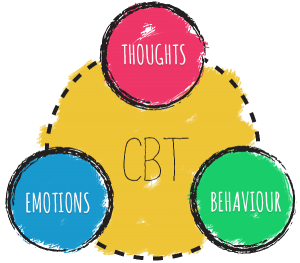 CBT can teach people to manage their fears, anxieties, and depressive symptoms by figuring out what’s really causing them; people also learn how to take control of their emotions. Medications: Antidepressant medications can also be used to treat both the diseases. Drugs are often used in conjunction with CBT. Selective serotonin reuptake inhibitors (SSRIs) are newer, commonly used antidepressants that offer fewer side effects than older antidepressants, according to the NIMH. Physical Exercise: Exercise, can also help in treating both depression and anxiety disorders. Exercise releases chemicals in the body that make you feel good, and it can help you relax. Taking just a 10-minute walk may alleviate symptoms for several hours, the Anxiety and Depression Association of America states. Meditation: Relaxation techniques which include practicing meditation and mindfulness are also effective treatments of anxiety disorder. Both can ease symptoms of both anxiety and depression and improve your quality of life, according to a large research review published. These are few of the treatment measures of anxiety and depression. You can contact an experienced doctor for the same and get the effective treatment of the disease. Timely treatment is something that could avoid complications by the end. Identify Negative Thoughts: With anxiety disorders, situations are perceived as more dangerous than they really are. To someone with a germ phobia, for example, shaking another person’s hand can seem life threatening. 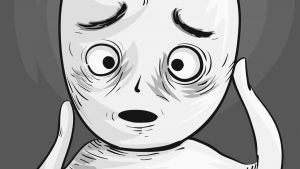 Although you may easily see that this is an irrational fear, identifying your own irrational, scary thoughts can be very difficult. One strategy is to ask yourself what you were thinking when you started feeling anxious. Your therapist will help you with this step. Challenge Negative Thoughts: In the second step, your therapist will teach you how to evaluate your anxiety-provoking thoughts. This involves questioning the evidence for your frightening thoughts, analyzing unhelpful beliefs, and testing out the reality of negative predictions. Strategies for challenging negative thoughts include conducting experiments, weighing the pros and cons of worrying or avoiding the thing you fear, and determining the realistic chances that what you’re anxious about will actually happen. Replace Negative Thoughts with Realistic Ones: Once you have identified the irrational predictions and negative distortions in your anxious thoughts, you can replace them with new thoughts that are more accurate and positive. Your therapist may also help you come up with realistic, calming statements you can say to yourself when you’re facing or anticipating a situation that normally sends your anxiety levels soaring. To understand how thought challenging works in cognitive behavioral therapy, consider the following example: Maria won’t take the subway because she’s afraid she’ll pass out, and then everyone will think she’s crazy. Her therapist has asked her to write down her negative thoughts, identify the errors or cognitive distortions in her thinking, and come up with a more rational interpretation. How to choose the best psychotherapist in Delhi?